The Fluffy Jackets have signed a three year worldwide distribution contract with one of the major figures in the European independent distribution scene, Cargo Records. “We’re delighted to secure the rights to distribute The Fluffy Jackets debut album” said John Dryland, Label Manager at Cargo Records. “The Fluffy Jackets are forward thinking, creative and hands-on music people. We really look forward to working with them”. The album was recorded in parts at the legendary 1950's Sun Studio in Memphis and features special guests, including guitarist Manny Charlton (Nazareth), bassist Neil Murray (Whitesnake), drummer Robert Hall (Jerry Lee Lewis’ Killer Band) and harmonica player West Weston. The distribution agreement means that Cargo Records will take care of worldwide sales, warehousing and physical distribution over the next three years. “It is very satisfying to agree this deal for our debut album” said Helge Rognstad, the Fluffy Jackets’ founding guitarist / vocalist. “We are looking to forward to promoting this album and strengthening the partnership with Cargo”. The Fluffy Jackets debut signals the start of a campaign to position Cargo releases for the digital age. The album will be available through all major online music outlets, including iTunes, Amazon and Spotify, in addition to traditional record stores on the high street. 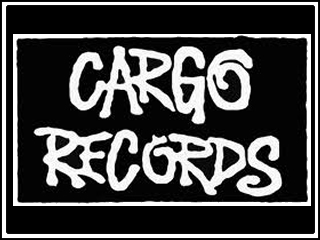 Cargo Records is a leading independent record label based in London, England, which distributes musical recordings in the United Kingdom and Europe. The company currently distributes records in a wide variety of genres, both as a label in its own right and as a distributor for other independent record labels. For over 20 years, Cargo has been at the forefront of bringing new labels and artists to Europe. Artists first introduced to the European market via Cargo include The White Stripes, Blink 182 and Burial. Cargo has also released albums by established artists including Public Image, Glen Campbell and Gary Numan. © Copyright The Fluffy Jackets. All Rights Reserved.